Most people know James Gandolfini from his iconic role as Tony Soprano on the critically acclaimed HBO drama “The Sopranos“. His untimely death on June 19 prompted me to check out some of his other roles, available on DVD at Cheshire Public Library. There are some real gems here. Not Fade Away (2012) – This film is about a group of young kids who try to form a rock band in ’60s Jersey. Gandolfini is great as Pat, the strict father of the band’s lead singer, who wants his son to abandon his rock-star fantasies in favor of college, so that his son can have the education and opportunities he didn’t. Killing Them Softly (2012) – Critics were divided on this film, in which Gandolfini plays a depressed alcoholic hitman. Dubbed a “super-cynical crime caper”, the many of characters in the film are pretty despicable, but Gandofini’s turn as the soprano-esque Mickey stands out. Down the Shore (2011) – In this indie drama, Gamdolfini plays the operator of a rundown kiddie amusement park on the Jersey shore. Variety said of his performance, “…Gandolfini’s most substantial feature role to date … reminding audiences why he’s a genuine American acting treasure”. Welcome to the Rileys (2010) – Gandolfini is Doug Riley, a man dealing with the tragic death of his teenage daughter. On a business trip to New Orleans, he encounters Mallory(played by Kristen Stewart of “Twilight” fame), an angry runaway living a dangerous life as a stripper. Moved by emotions he barely understands, Riley abandons his old life to save hers. In the Loop (2009) – Gandolfini showcases his comedy chops as Lieutenant General Miller, senior military assistant to the U.S. secretary of Defense, engaging in several hilarious rapid-fire verbal exchanges with various politicians in this film satire. The Taking of Pelham 1 2 3 (2009) – Gandolfini plays a supporting but pivotal role as the mayor of New York City in this suspense film about a hostage crisis on the subway. The all-star cast also includes John Travolta and Denzel Washington, and is a remake of the 1974 film of the same name. Where the Wild Things Are (2009) – Gandolfini plays Carol, the “lead” Wild Thing, the gentle-giant mentor to 9-year-old Max. 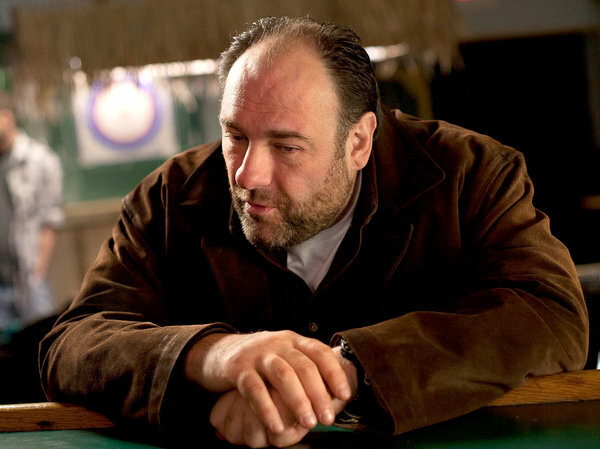 Even though the only thing evident was Gandolfini’s voice, (the film made use of motion-capture CGI as he acted the role) he still managed to make the character be both scary and lovable in equal measure. ← Susan picks music: Chants! Chants! Some of Them From France!